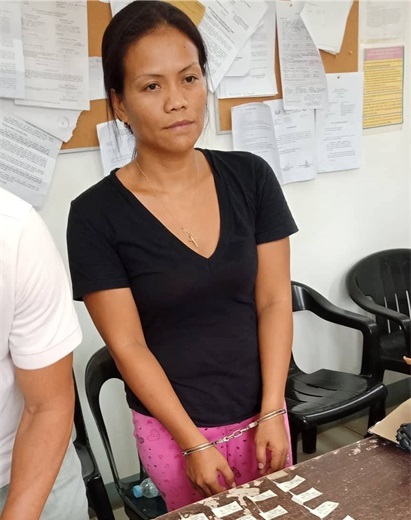 A woman included in the Bohol Provincial Police Office’s (BPPO) drug watchlist was arrested by a composite police team during a drug buy-bust operation in front of an elementary school in Panglao on Thursday. Police identified the suspect as Trodorate Reysuma, 36, a resident of Barangay Doljo, Panglao. According to Panglao Police Station chief Sr. Inspector Geronimo Conarco, Reysuma was newly included in the police’s drug watchlist. In a report, police said that Reysuma was spotted selling illegal drugs across the Doljo Elementary School prompting the BPPO Provincial Intelligence Branch and the Panglao police to set up the operation. Reysuma then allegedly sold shabu worth P500 to a police poseur-buyer resulting in her immediate arrest. Operatives found 25 more packets of suspected shabu in Reysuma’s possession, authorities said. The seized drugs were estimated to be worth P11,800.